Accucraft Trains — Makers of museum-quality brass models in live steam and electric. 1:20.3, 1:32 and 1:29 scales, U.S. and international models. Passenger cars, rolling stock. (510) 324-3399 or info@accucraft.com. Wuhu Brand Arts & Crafts Co. Ltd.
Maker of live steam and electric brass model trains in 1:20.3 and 1:32 scale. Your Large Scale Headquarters. 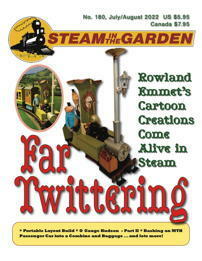 We run live steam — buy from a live steamer. Accucraft, AMS reseller. 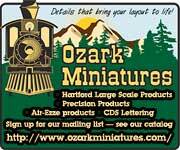 To keep the best prices, everything is warehoused or shipped direct from manufacturers. 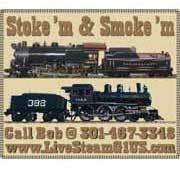 Exclusive U.S. importer and distributor for Aster live steam locomotives and accessories. All locomotives are designed and manufactured by Aster Hobby Co. Inc. of Yokohama, Japan. Fully machined steam engine kits. Twin cylinder and single cylinder models available, including the TVR1a, the TVR1AB, the VR1A and the HM1. Flywheels also available. Canada’s No. 1 source of live steam models. Accucraft dealer authorized for large engines such as the PRR K4 as well as for smaller AML Docside and Accucraft Ruby. Art Knapp also sells AML rolling stock. July 13-17, 2016, McClellan, Calif.
Accucraft distributor for Europe; offers complete range of Accucraft products, plus company's own exclusive locomotives. Indoor and outdoor portable layouts. Eaglewings’ all-weather solid steel layouts are easy to move and set up. U.S. dealer for Wuhu Brand Arts & Crafts Co. Ltd.
Where G Scale comes together. Discounts on large orders and multiple items. AML, Accucraft, AMS, Aristo-Craft. Your source for Regner in America. 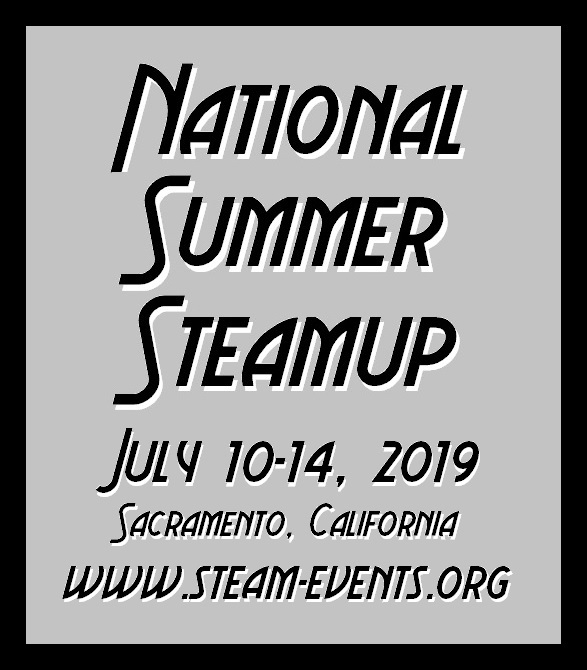 Live-steam locomotives from Regner, Accucraft and Roundhouse, as well as other live-steam items. Full line "G" scale dealer. 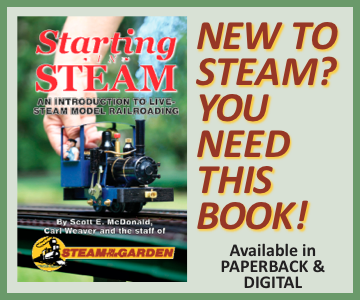 Living steam railways for SM32/SM45 and "G" scale. Designed, manufactured and tested in England since 1982. 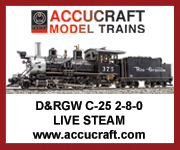 Accucraft Live Steam Limited. Live Diesel Electric. 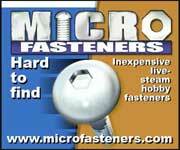 Hard to find small fasteners for the live steam hobbyist. Rail clamps, engine carrier/loader, reversing loop units. Aluminum track in both narrow gauge and mainline. True to life track products, Code 215 & 250. Services to enhance your steam experience — boiler work, custom builds, retrofits, overhauls.